Wish you could help out shelter cats but you just can’t adopt right now? 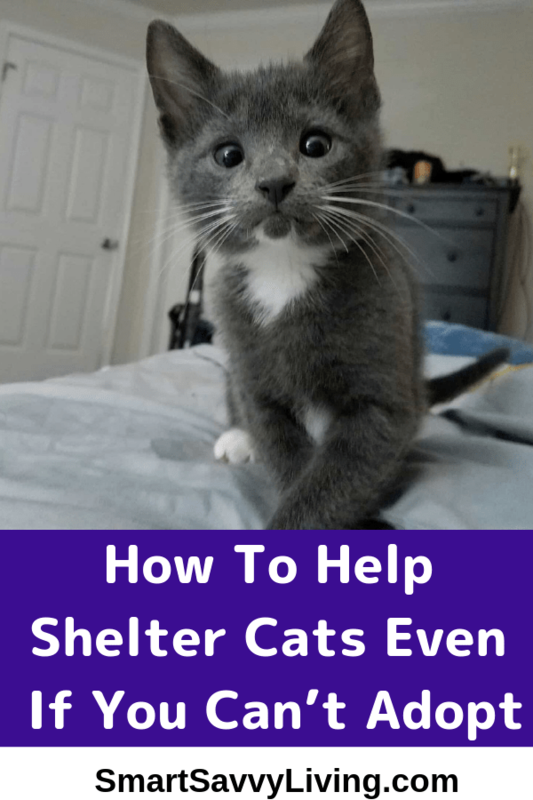 Keep reading to find out how to help shelter cats even if you can’t adopt. This post is written by Smart Savvy Living and sponsored by Cat’s Pride. All opinions expressed are our own. Odds are that if you use the internet daily you likely see a super cute story, picture or video about cats. It probably makes you wish you could give every kitty in need a good home. I totally get it. We’ve always said that if we ever won the lottery we would set up some sort of cat sanctuary. But, I know that cat adoption just isn’t possible for everyone. There are a ton of totally legitimate reasons to not be able to adopt from allergies, to renting a home that doesn’t allow pets, a super busy lifestyle, or even already having the maximum limit of cats your city allows. The good news is that even if you can’t adopt a cat there are still plenty of ways you can help keep shelter cats alive, happy, and healthy. 1. Donate money to shelters. Money donations are certainly always appreciated at shelters. Many cats that come in have health issues that aren’t cheap to treat. Then there are, of course, the usual expenses for vaccinations and wellness, food, bedding, litter supplies, toys, cleaning supplies, etc. It certainly all adds up. 2. Donate goods to shelters. There are a ton of goods shelters constantly need. Cat food, litter boxes and cat litter, bowls, bedding, towels, cleaning supplies, and even items like newspaper for lining cages are in constant need. I always keep an eye out on super good sales on cat products for our own cats but I also buy a few extra to donate to one of the local shelters. 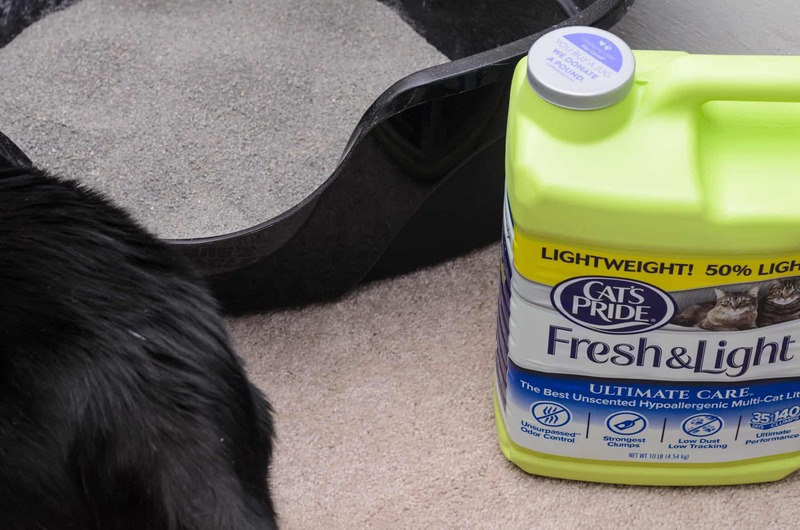 One extra awesome product to buy is Cat’s Pride® Fresh & Light® cat litter. Why is it so awesome? 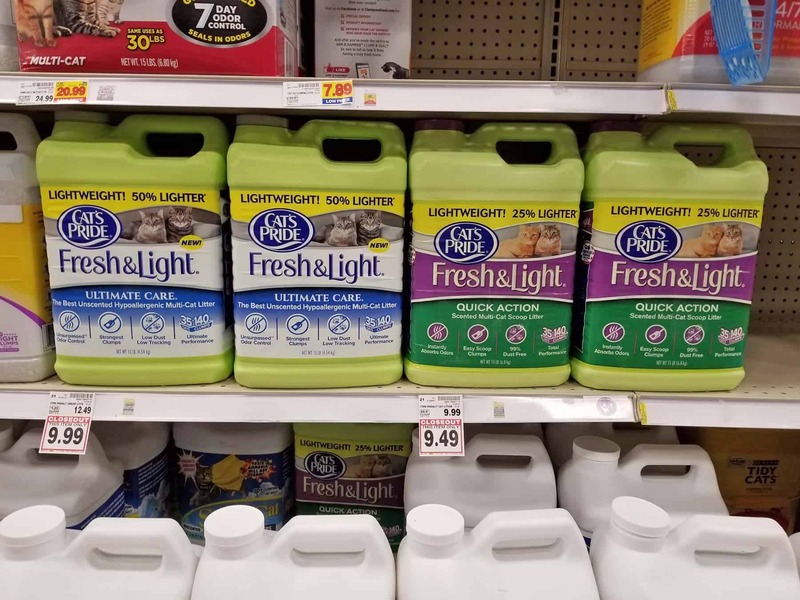 Well, whether you use it for your own cats or buy to donate it to a shelter, Cat’s Pride donates 1 pound of cat litter per green jug purchased as part of their Litter for Good™ program. How wonderful is that?! 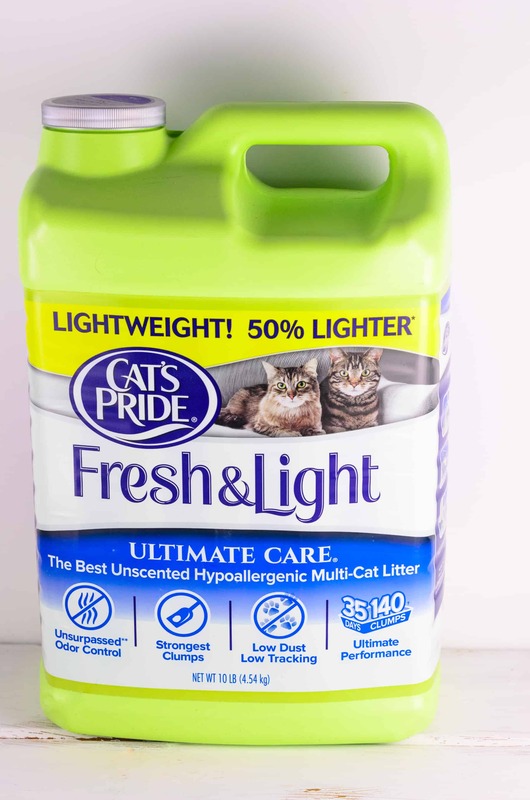 I especially love that Cat’s Pride comes in a lightweight formula in an easy to carry container. It’s also available in most stores that carry pet supplies, even grocery stores and online, so you don’t have to make a special trip to a specialty store. You can learn more at catspride.com/litterforgood where you can also sign up for the free Cat’s Pride® Club to nominate a shelter to receive litter donation. You’ll also get coupons, updates on program donations, and get to know more about shelters. 3. Volunteer your time to shelters. Money, unfortunately, doesn’t grow on trees so it’s tough to donate as much as we may like. However, volunteering your time can be a huge help to shelters, too! Most shelters would love an extra hand with cleaning, playing with and giving the cats love, etc. 4. See if you can help with animal transportation. Something a lot of people don’t realize is that sometimes shelter animals need to be moved around quite a bit. Some shelters may get full and need animals transported to nearby shelters. There’s also a need for animals to get to veterinary services or to fosters. Some areas of the country almost constantly have full shelters while others actually don’t have enough animals available for adoption demands which require transportation cross state. 5. Ask your friends to donate instead of getting you gifts. Do you have a birthday, graduation, anniversary or maybe even a wedding coming up? If so, it can be a great time to ask your friends to donate to a local shelter in your name in lieu of buying you a gift. 6. Consider donating to your local veterinarian offices, too. One of the top reasons animals end up in shelters is because the owners can’t afford advanced or sometimes even basic care in tough times. To help animals stay in their loving home consider donating to your local veterinarian offices as well. Most have an ongoing fund for families that need a little extra help to provide proper care for their pets. 7. If you can’t permanently adopt, consider fostering. Maybe you would like to adopt a cat but traveling a portion of the year or some other reason keeps you from doing so. Instead, fostering could be a great option for you. 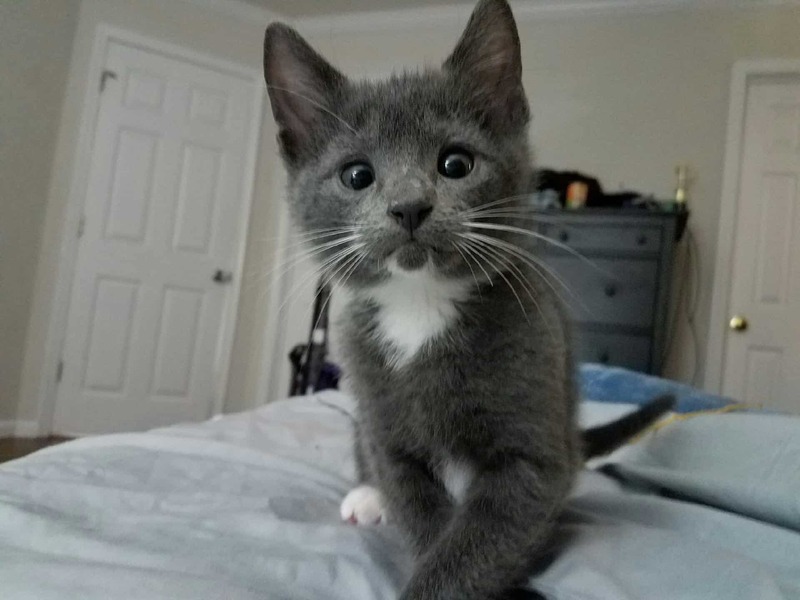 A lot of animals only need to be fostered for a short amount of time, especially kittens which tend to get adopted while still young. 8. Help create awareness within your community. If you’re a cat or animal lover I’m willing to bet you’re friends with several other animal lovers, too. As such, it’s a great idea to share cat-related news and events to your community. Bring it up with like-minded friends when you get together, share on social media, or email your animal-loving friends now and then. Some things you may want to share include cats that need to be adopted, reduced-cost spay/neuter or vaccination events, and adoption events.